Living rooms are the social activity centre of every modern household and have changed greatly in terms of aesthetic design and general layout. Certainly, before the invention of televisions, the living room was a place focused around a fireplace and quiet reading as well as large-scale entertaining. While the style and function of the living room has changed over the decades, the types of furnishings you see in them have largely remained the same. The most prominent piece of furniture in any living room is undoubtedly the legendary sofa or ‘lounge’. This long piece of seating is focused primarily on providing comfort for the entire family or to facilitate entertaining for groups of friends. As you can imagine, anyone looking to furnish a new living room or update an old one will look at this area first. This article is going to explain why, when upgrading your sofa; you should invest in the long-term benefits of a leather couch. This type of sofa has remained popular for decades and there are several great reasons why. Let’s take a look at 3 of the best reasons why you should invest in a leather couch for your living room area. The great thing about leather couches, or anything made from this material in general, is that it has always consistently been popular throughout the decades. No matter what era it is, animal hide products have always been seen as a premium, high class option, especially when compared with artificial alternatives. This is because of the high level of craftsmanship that goes into creating a leather couch and the comparable rarity of the material. It’s obvious that harvesting and converting animal hide is a much more involved and ‘earthy’ process when compared with the way synthetic materials are made. The ‘genuine’ association that this kind of material has make its incredibly popular with pretty much everyone. It’s hard to find someone who isn’t impressed by a genuine full leather couch and creating this feeling in visitors can be well worth the cost. Other than simply looking good on its own, a leather couch is going to fit in well with most if not all interior designs. It’s very hard to create a space that will make this kind of sofa look bad (unless you make the room entirely hot pink), since the neutral tone will match with most color schemes. The other major benefit of a leather couch that probably contributes greatly to its perceived value is how durable it is. The natural durability of animal hide is carried over when converted into furniture and this is obviously incredibly useful in an entertaining area where food and drinks will flow. This is also a great benefit for people with children and indoor pets that will naturally create a big deal of mess. The stains that children create and the fur that pets shed can be swept of a leather couch incredibly easily when compared with other kinds of sofa. This makes this type of lounge a long-term investment that is well worth the initial high price. If you want a living room seating solution that’s going to last through heavy use then it’s incredibly difficult to go past a leather couch. If you ever plan on selling your home with furnishings intact, then a leather couch is a relatively small but powerful way to increase the value of your home for prospective buyers. While the cost of this sofa will be relatively low when compared to other ‘value-adding’ additions to your home (e.g. pools, patio areas) it will send a strong message when they enter the living room. Think about it; when a new family tours your home and enters your living room they will see your sofa and immediately be impressed with it. 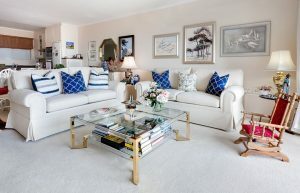 They will love the fact that they can change up the interior space while keeping the sofa since it will look good no matter what alterations they choose to make. They will also appreciate the fact that they are getting something that will remain highly durable throughout the time that they use it. This is especially true for new families moving into their first home who will naturally have or expect to have young children running around. As you can see, these 3 major benefits of buying a leather couch explain clearly why this is such a great investment for pretty much any kind of homeowner. There are very few people who will dislike this kind of furnishing or be unimpressed by the presence of it in your living area.